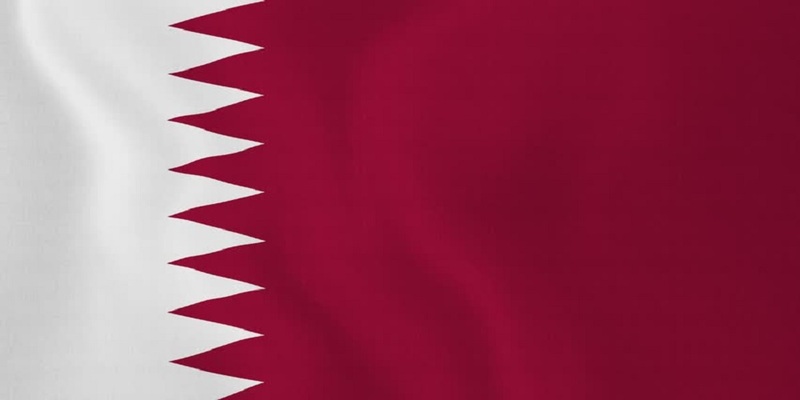 Learn more about how to recycle your waste in Qatar. At Bin-Ovation we are all about clarity, complete clarity in fact about what waste goes into which bin in your street. What do you put in which colour of bin? 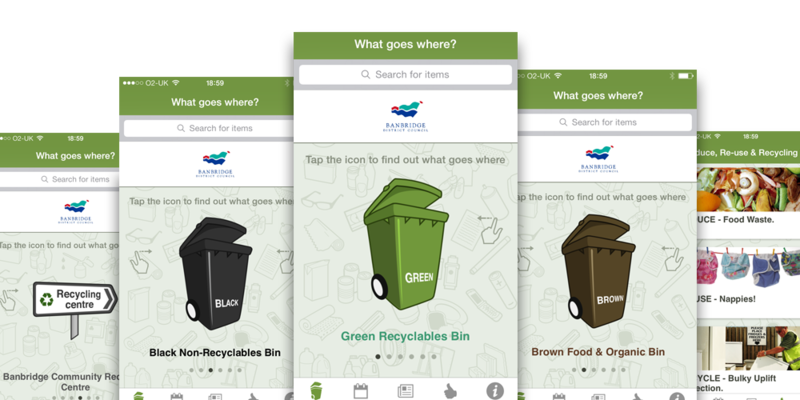 The Bin-Ovation App tells you which items to put into each colour of bin so that you can make sure you don’t make any mistakes. 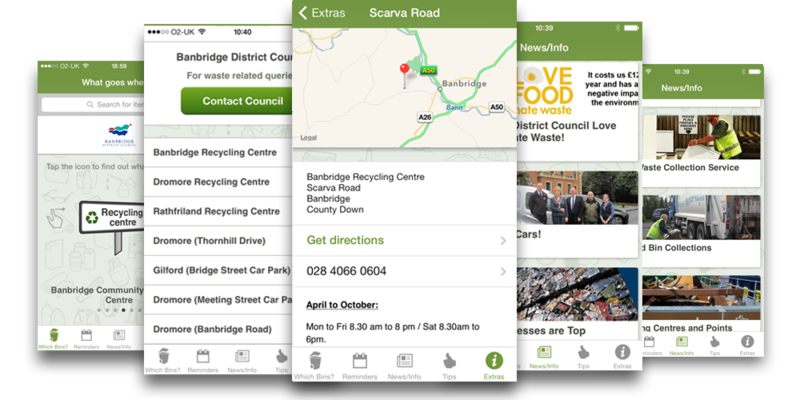 The Bin-Ovation App keeps you up to date with any news and updates concerning bin collection and recycling. We will send you updates of closing times for recycling centres and any changes to bin collection times provided by your local council. The Bin-Ovation App allows you to set reminders of which days which bins are collected ensuring you will never forget to put the correct bin out for collection again. Need to know where your nearest recycling centre is? The Bin-Ovation App can provide directions from your current using our geo-location feature within the App. Need some advice? The Bin-Ovation Apps provides a wide range of tips to help you reduce, reuse and recycle and provides advice on recycling items including electrical items and furniture. If you find your council is not included then please fill in the on-line form on the contact page requesting your council to be included within our App. We will pass the information on to your local council. So do you want to know exactly what goes in your various bins and what needs to go to your local Recycling Centre? 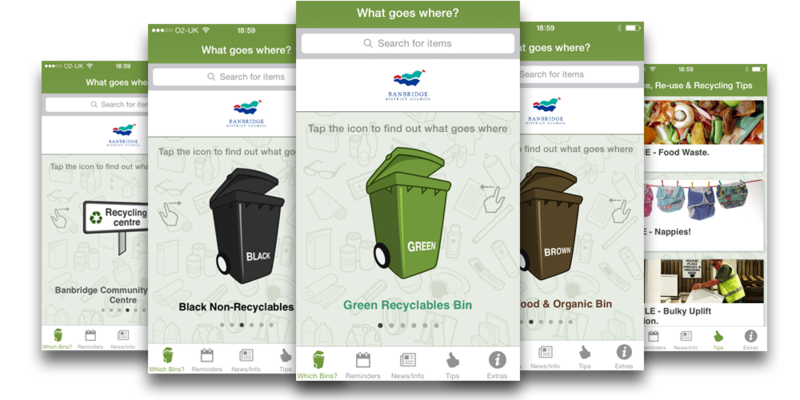 Our App gives absolute clarity on how all household waste items should be treated in your council area using photos, icons and council specific instructions. The Bin-Ovation App is available for both Android and iOS Devices. For more information please click on the respective links on the right. Best thing of all it’s free!